I work as an assistant editor at Hendrickson Publishers, which means that I help with books in a variety of stages (and indeed worked on The Complete Jewish Study Bible), but I don’t often get to spend time looking at our finished products. So it was with excitement that I read some of the CJSB’s topical articles in preparation for this blog post on Rosh-HaShanah. I’m Protestant, and while I have a Jewish ethnic background and grew up celebrating Passover (Pesach) in conjunction with Maundy Thursday, I started on the CJSB articles in a position of complete ignorance about the fall holidays. Instructions for these holidays are outlined in Leviticus 23:23-44, which is further into Leviticus than I’d ever chosen to read on my own. It was hard to see how rules I don’t follow and explanations of festivals I don’t celebrate could be relevant to my life or my faith, so I approached the passage and its articles warily, unsure that I would find anything I could use. The verses regarding Rosh-HaShanah (23-25) are brief, and left me no closer to understanding the full purpose and meaning of the holiday. That’s where the resources in this Bible came in. 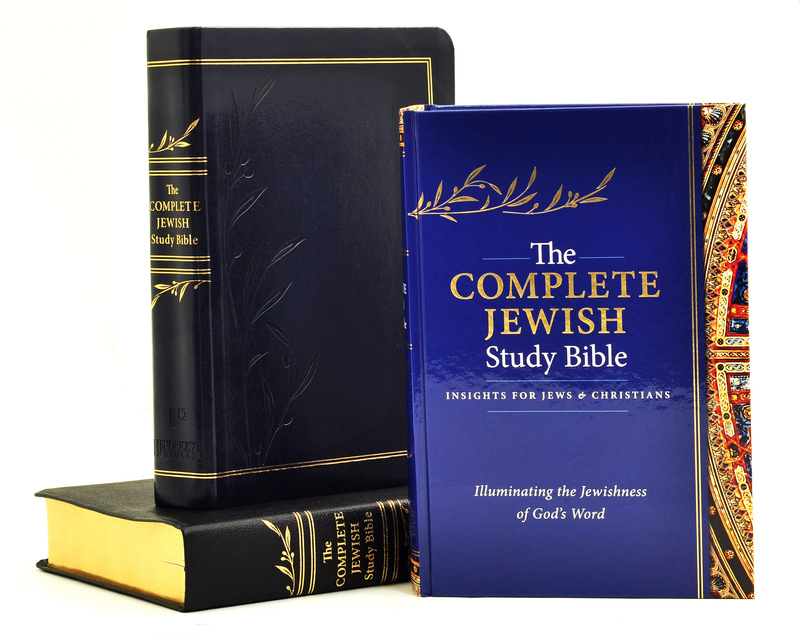 The Complete Jewish Study Bible’s topical articles regarding Rosh-HaShanah (titled “Historical Background,” “Traditional Jewish Observance,” and “Prophetic Fulfillment”) are rich and informative, and reading them helped me find a different perspective. My major takeaway was about God’s consistency. Like many Christians, I sometimes struggle to see the connections between the Old and New Testaments, and the articles made those connections stand out. Rosh-HaShanah’s focus is on taking stock of one’s life and behavior and returning to God, confident in his forgiveness. While the holiday includes unfamiliar elements, like the blowing of the shofar (ram’s horn), I was struck by the familiarity of pairing repentance with confidence in God’s mercy. Because I associate the emphasis on assured forgiveness so strongly with Jesus, I was surprised to find it in an article on Rosh-HaShanah, even though I knew cerebrally that God’s character is constant. Noticing that so many people have lived in awareness of his forgiveness and mercy for so long heightened my understanding of God’s changelessness. I don’t expect to celebrate Rosh-HaShanah this year, but I’m glad to know enough about it to see it as a natural expression of God’s consistent character and behavior toward his people.